Today's card is to remind you that we are half-way through the monthly challenge at Fuzzy Wuzzy Challenges. You still have plenty of time to make a card or project using an animal as the focal point of your item, along with following the monthly theme. The June Theme is a recipe, three papers, two buttons, and you must use the color blue on your card. 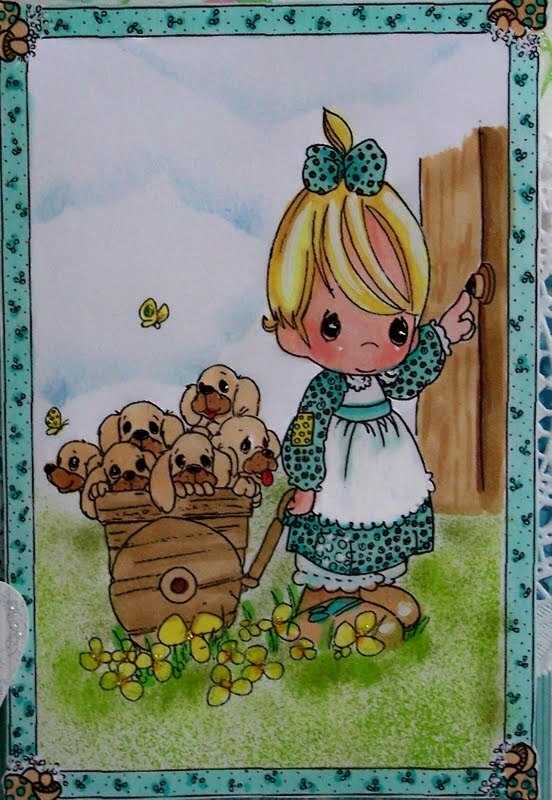 This adorable image is a coloring page of a sweet Precious Moments little girl. I have a feeling she is trying to find homes for her wagon load of puppies!! I colored with Copic Markers and sponged the sky background. 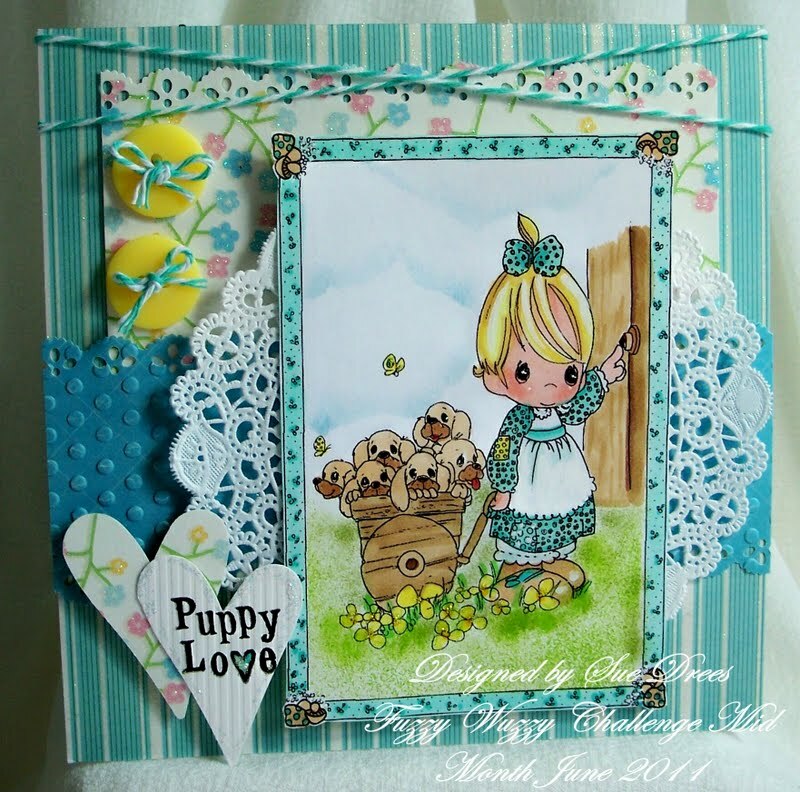 Sentiment is from a clear stamp set from Cloud 9, all about dogs. Hearts were punched with an elongated heart punch from Paper Shapers. Added some Diamond Stickles. Bakers twine across the top, and tied on buttons. Close up of image. I stippled the grass. Hope you have a chance to join us at the Fuzzy Wuzzy Challenge. You have until the 30th of June. We'd love to come see what you come up with for this challenge. this is soo sweet sue, what a lovely picture, and great coloring. How sweet this is, cute image and great colouring. Hey, Sue, love this image! So sweet! Love how you put everything together, beautiful card! I absolutely adore this card. The image is so sweet, colors are sweet and cheery and the doily and baker's twine perfect!